It's a proud moment for India. 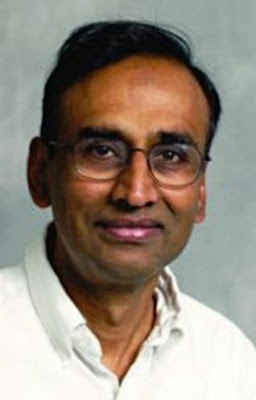 UK-based Indian origin scientist Dr. Venkatraman Ramakrishnan has won the 2009 Nobel Prize in Chemistry for work on proteins that control life . Dr. Venkatraman Ramakrishnan, known to most as "Venki," started out as a theoretical physicist. After graduate school, he designed his own 2-year transition from physics to biology. Then, as a postdoctoral fellow in the lab of Dr Peter Moore at Yale University, he worked on a neutron-scattering map of the small ribosomal subunit of E. coli. He has been studying ribosome structure ever since. 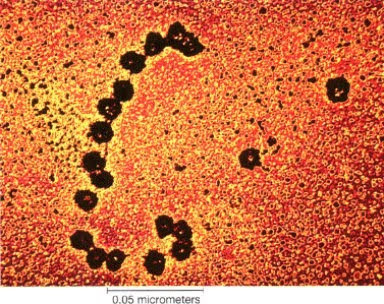 In the August 26, 2000 issue of Nature, Dr Ramakrishnan and his coworkers published the structure of the small ribosomal subunit of Thermus thermophilus, a heat-stable bacterium related to one found in the Yellowstone hot springs. With this 5.5 Angstrom-resolution structure, Dr. Ramakrishnan's group identified key portions of the RNA and, using previously determined structures, positioned seven of the subunit's proteins. Dr.Venkatraman Ramakrishnan, 58, had his early education in the town of Chidambaram, Tamil Nadu, and Baroda, Gujarat, before went to the US. He later moved to US. 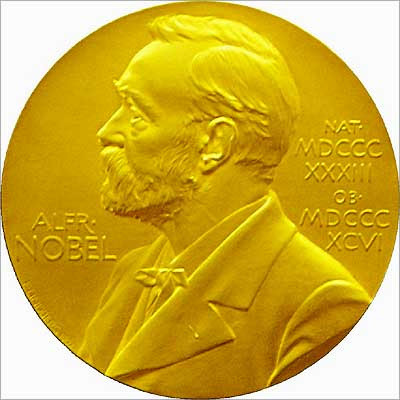 The Swedish Nobel Committee awarded the prize to Dr Ramakrishnan, who is currently affiliated with the MRC Laboratory of Molecular Biology in Cambridge, UK, for his work on protein-producing ribosomes and its translation of DNA information into life. He shared the prize with Dr Thomas Steitz of Yale University, Connecticut, and Dr Ada Yonath of Weizmann Institute of Science in Israel. He credited the MRC Laboratory of Molecular Biology and the University of Utah for supporting his work and the collegiate atmosphere there that made it all possible.Surly he made a great contribution. The practical importance of Dr Ramakrishnan's work arises from ribosomes being present in allliving cells, including those of bacteria. Human and bacterial ribosomes are slightly different,making the ribosome a good target for antibiotic therapy that works by blocking the bacteriums ability to make the proteins it needs to function.Ramakrishnan, Steitz and Yonath demonstrated what the ribosome looks like and how it functions at an atomic level using a visualization method called X-ray crystallography to map the position of each of the hundreds of thousands of atoms that make up the ribosome, according to the MRC. "There are lots of good scientists in India but I notice the press is hung up about these Western prizes like the Nobel Prize instead of appreciating the excellent work they (scientists) are doing within the context of India. There are lots of good labs in India where they can do excellent work. Well, in 1971 there were only a few places in India - there was not much research and money for research in India at that time." "I have been to India several times since and these days there are some really fantastic places in India like the Indian Institute of Science and several others...those are very good places and very good scientists," Ramakrishnan, added. "This year's three Laureates have all generated 3D models that show how different antibiotics bind to the ribosome. These models are now used by scientists in order to develop new antibiotics, directly assisting the saving of lives and decreasing humanity's suffering," the Nobel citation explained. 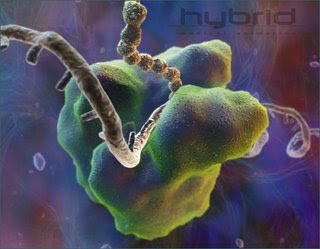 Elaborating, the MRC said Dr Ramakrishnan's basic research on the arrangement of atoms in the ribosome has allowed his team not only to gain detailed knowledge of how it contributes to protein production but also to see directly how antibiotics bind to specific pockets in the ribosome structure. Dr Ramakrishnan will share the 10 million Swedish kronor ($1.4 million) Nobel Prize money (1/3rd each), in a ceremony in Stockholm on December 10. This must be the greatest moment for all the Indians who are proud to having such a biggest Personality who discovered a new theory of life origin... This is a small step for science but a giant for Indian glory.